Sideline Sports Doc is a scalable training program, which educates coaches with products designed to improve coaches’ on-field triage of key injury situations. Sideline Sports Doc advances the Players First pillar of Player Health & Safety. 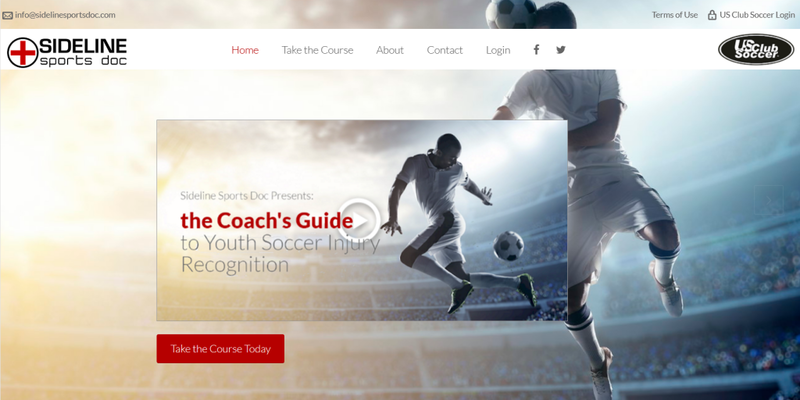 Sideline Sports Doc is a scalable training program developed by industry-leading experts to educate coaches via an online course, downloadable .pdf/e-book and .mp3 products. These products are designed to improve coaches’ on-field triage of key injury situations. Learn any way you’d like; about one hour is all it takes. The teaching methods are sport-specific, customized and designed specifically with the needs of US Club Soccer’s Players First platform in mind. Dev Mishra is the founder and president of Sideline Sports Doc and a board-certified orthopedic surgeon sports medicine specialist at Stanford University. He has been a team physician for the U.S. Soccer Federation, University of California at Berkeley, the Oakland A’s, Stanford University and several San Francisco bay area high schools. In conjunction with enhanced background screening, US Club Soccer has mandated that all registered staff members take the Sideline Sports Doc online course. The course incorporates U.S. Soccer’s “Concussions in Soccer” video and other Recognize to Recover content. The chapters are: 1) The SAFE Method – initial evaluation of an on-field injury, 2) Ankle and foot injuries, 3) Concussion, 4) Fractures, 5) Heat illness, and 6) Knee injuries. All coaches and staff members registering with US Club Soccer must complete the course each time a background check is required (approximately every two years). More specifically, the course must be completed within the 120 days preceding submission of one’s background screening application. More information can be found on the Staff Registration web page.